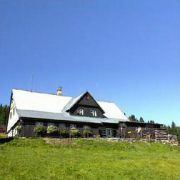 Our guest house is located in Velka Upa, on meadows in summer and ski slopes in winter. We offer accommodation … More » with half board. Rooms with bathroom. Playroom for children and adults. Restaurant. Beautiful views, days full of sports and relaxing in the evenings. You are welcome. 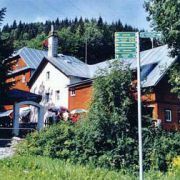 Mountain guest-house Mileta is the best for you! 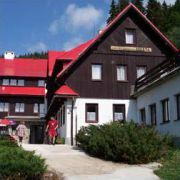 Rooms have own bathrooms, typical Czech food, common room with … More » bar, fire place, darts and pool. 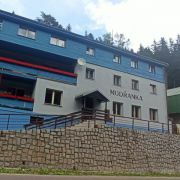 It is located near the downhill course Portasky in Velka Upa in Giant Mountains) New 3 chair lift, night skiing!! The mountain cottage has capacity 18 beds in 6 rooms with sanitary facilities. Stylish restaurant. Boarding in … More » the form of half board. 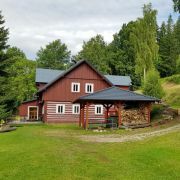 Cottage has its own ski lift with lenght 200m.